On the 3rdof May, our schools team, along with the Off The Fence schools team held the last Christians In Educationmeeting of the academic year. The focus of the evening was the topic of ‘Embracing A New Start’. Each of the three speakers gave encouragement from their experiences, highlighting how God aids and guides us through the challenges put in front of us. First to speak was Dave Etherton, head teacher at St Nicolas and St Mary CE Primary school in Shoreham, talking about the challenges that he has had to face in the development of the new sister school St Clement CE Primary Academy. He discussed how throughout new starts we can rely on our all-knowing God who can give us wisdom over the situation. He also spoke about how Gods plans may be different to ours and through submitting to Him, and where he places us, he closes and opens the right doors. Following this, we heard from Sarah Gurtler, a sixth form student. Sarah spoke on the changes she faced as she entered sixth form education at Lancing College. She expressed that although we may not enjoy change we know the truth that we have a God who is greater than all the trials that we may face. This was an encouraging word for the coming months as this school year ends and we head into the new school year in September. 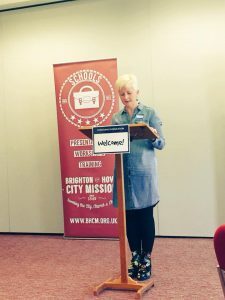 To finish, we were privileged to hearour former schools team member, Emma Ham-Riche, highlighting how the disciples experienced new starts when they left everything they knew and had behind to follow Jesus. She expressed that although new experiences can be ‘Terrifying’ and ‘Exciting’ God remains with us and that never changes (Matthew 28 vs 20). Thanks to everyone who came and to our three speakers for your encouraging words. Our next Christians In EducationMeeting will be held on the 15thNovember 2018. Join us for an afternoon of fun on 7th July, from 1pm – 4pm! 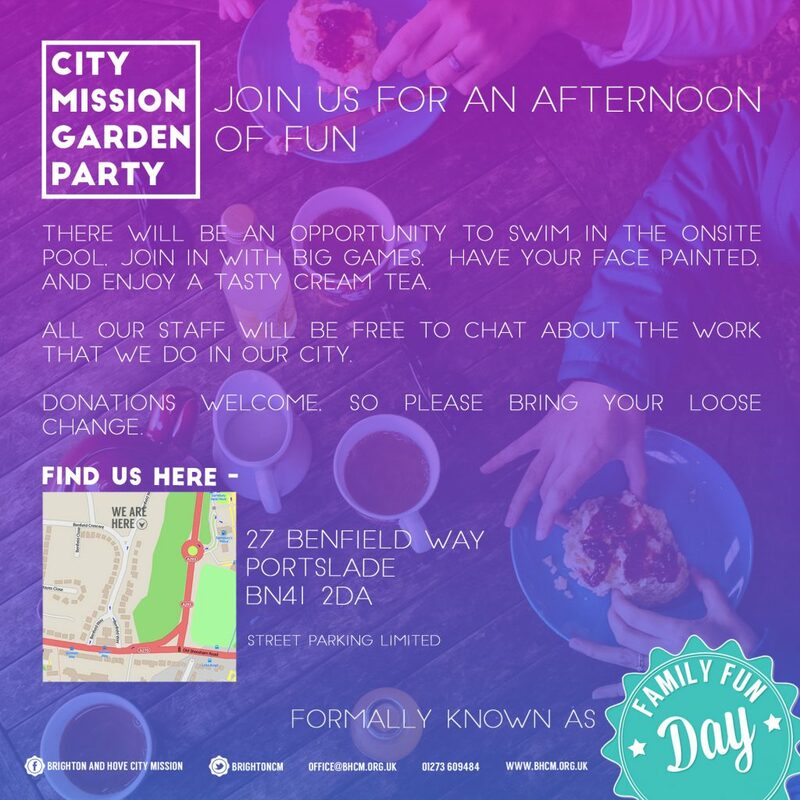 There will be an opportunity to swim in the onsite pool, join in with big games, have your face painted, and enjoy a tasty cream tea. All our staff will be free to chat about the work that we do in our city. Donations welcome, so please bring your loose change. Find us at 27 Benfield Way, Portslade, BN41 2DA. If you have any questions regarding the event, please contact office@bhcm.org.uk.